We met Jean Barclay when we worked on the Coastal West Sussex Mind rebrand. back in 2013. Jean has an impressive client portfolio and has worked on some amazing charity strategy projects. Coaching helped Jean to focus on the the kind of work which really excited her – the kind of work where you get lost in time. Within several coaching sessions, using a solutions-focused approach, we have helped Jean to rediscover her niche and now Jean’s day is now filled with the projects she enjoys. We are now designing and developing Jean’s new website and we look forward to sharing this with you in due course. We have worked with several coaches and consultants including Tom Leach Coaching and iESE to help them discover their niche and then promote to build their consultant and consultancy brand. Coaching and consultancy is a competitive market and it is important to stand out for the right reasons. 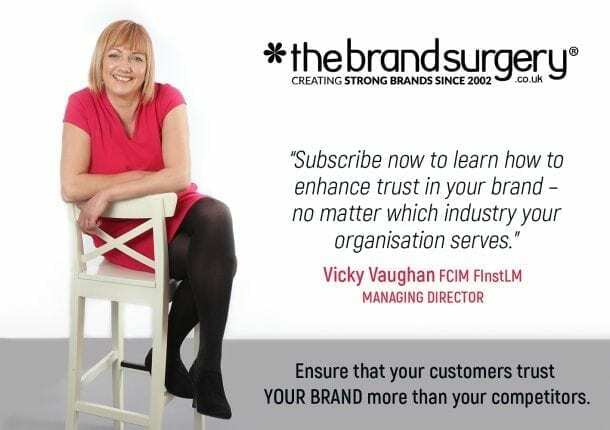 Contact Vicky Vaughan FCIM FInstLM on 01903 898977 today to build your consultancy or coaching brand.